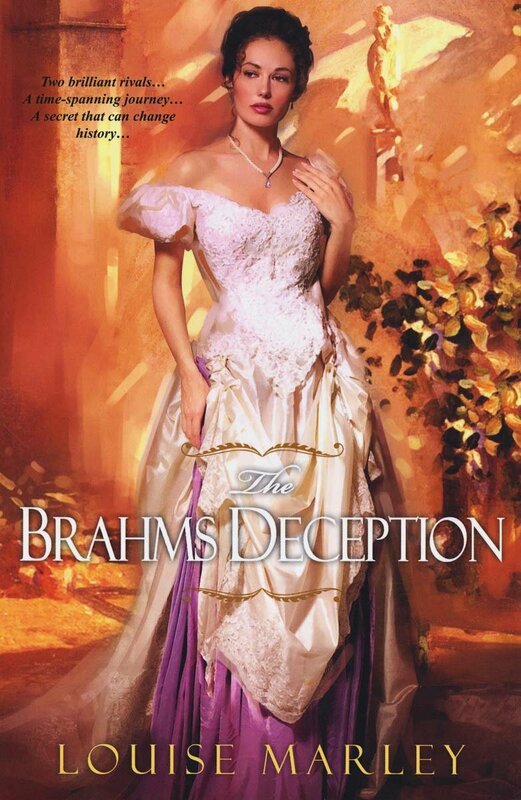 The Brahms Deception is the follow-up to Louise Marley’s Mozart’s Blood. (I wrote about this novel here, and the new book has a few glancing references to its protagonist, Octavia Voss, but the ties are light — it’s not a sequel.) It is a book that will put readers in mind of A.S. Byatt’s unforgettable 1990 Booker Prize Winner, Possession: A Romance. Both novels, after all, depict academics who discover a secret love affair between the heroes who’ve become the raison d’etre of their careers. Both have intertwined love stories that play out in the past and present. In Possession, Byatt weaves her literary lovers — Randolph Henry Ash and Christabel LaMotte — from whole cloth, while making it seem impossible that they aren’t part of the English literary canon. She achieves this by creating portions of their poetry and building a vividly-evoked culture of scholarship around the two. Marley is writing about music, not poetry, and she chooses real composers, authors of music that is woven deeply into the tapestry of Western culture. The fictional romance between Schumann and Brahms is stitched into a small gap within their well-documented personal histories. It is a classic alternate-history technique, well-conceived and carefully executed. I loved the book and immediately wished there was a sequel. I tried to figure out the twists and turns, but more often than not I guessed wrong. I really like the way that Marley handled many of the aspects of time travel, including the always troubling issue of how a change in the past ripples forward into the future. You could say this is a suspense novel, a romance novel, or a novel about music. Whichever you enjoy, there’s a good chance you’ll like The Brahms Deception.